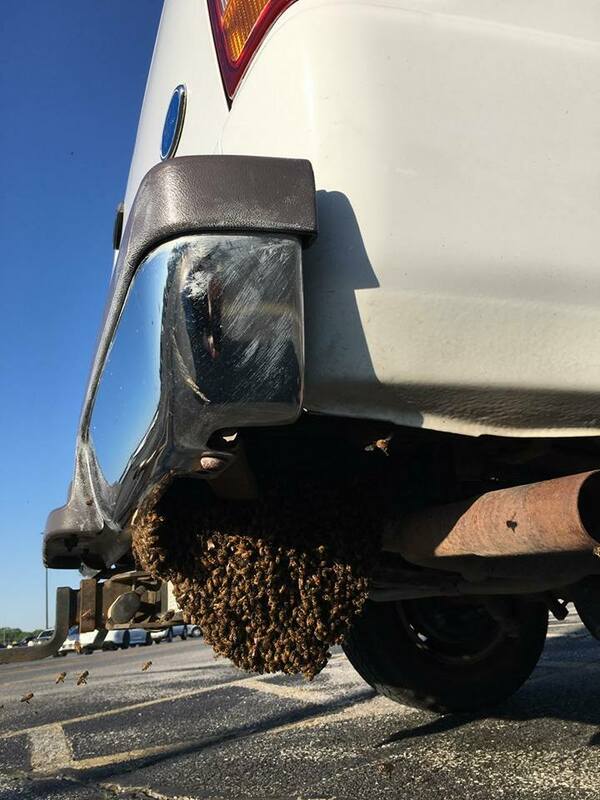 Have you seen a bee swarm? We can help! In the springtime, a colony of bees instinctively tries to reprodcue by splitting into 2 groups, 1 group stays in the existing home, the other group leaves and looks for another place to live. When a group of bees are seen handing in a cluster like the picture, this is a swarm, and many beekeepers would love an opportunity to capture them, and place them in a standard beehive on their property. Members of NEOBA provide this service free of change. If you see a group of bees, please give us a call, and we will locate a beekeeper near you to come and gather the bees!